Yoghurt is one of life’s staples for us, nothing beats a big bowl of yoghurt & fruit on a hot Queensland day. I have always thought of yoghurt as “healthy”. Something that not only tastes good but also gives you a little pro-biotic pick me up. So imagine my dissapointment when I found out that most store brought yoghurts despite their “pot set” claims, actually contain very little live probiotics & all sorts of hidden nasties like thickening agents, stabilisers & flavour enhances (yuk!). Not wanting to give up our yoghurt we embarked on our very own “yoghurt making adventures”. And boy have I had a few adventures, firstly I started off trying to make yoghurt in a glass jar stored in a thermal lunch bag, this method produced yoghurt, but it was runny. I then tried the water bath method this too produced runny yoghurt & was a royal pain as the water bath had to constantly keep being re-filled with hot water to keep it at the right temperature. I finally bit the bullet & brought a soup thermos, now we are producing lovely pot set style yoghurt – still not quite as creamy or as firm as the pot set yoghurt you buy from the supermarket – but minus all the gelatine, thickening agents and other nasties. Pour your milk into a saucepan to heat (I use raw unpasteurised jersey cow milk) heat it to roughly between 40 to 45 degrees celsius, check the temperature with your thermometer. Once the milk is at about 43 degrees take it off the heat & add your 1 T of yoghurt ( I have found the Pauls all natural yoghurt in a tub to be the best, the Jalna brand made a much softer, sloppier yoghurt) whisk in the yoghurt until its fully combined. Then pour it all into your thermos & place somewhere warm to do its thing – I leave the yoghurt for 12 to 24 hours checking it periodically to see if it has turned into yoghurt, once it has turned we then refrigerate & enjoy. Because I am using raw un-pasteurised milk I don’t let the milk get above 45 degrees as this would kill all of the naturally occurring bacteria in the milk & negate my paying exorbitant prices for the opportunity to have pure un-adulterated milk straight from the cow! If you want to pasteurise the milk or are using pasteurised milk then heat the milk to 70 degrees & hold it at 70 degrees for five minutes before letting it cool to 40-45 degrees before adding your yoghurt starter. *When we first started making yoghurt I thought the more yoghurt starter we added the better, but this produced sloppy yoghurt. 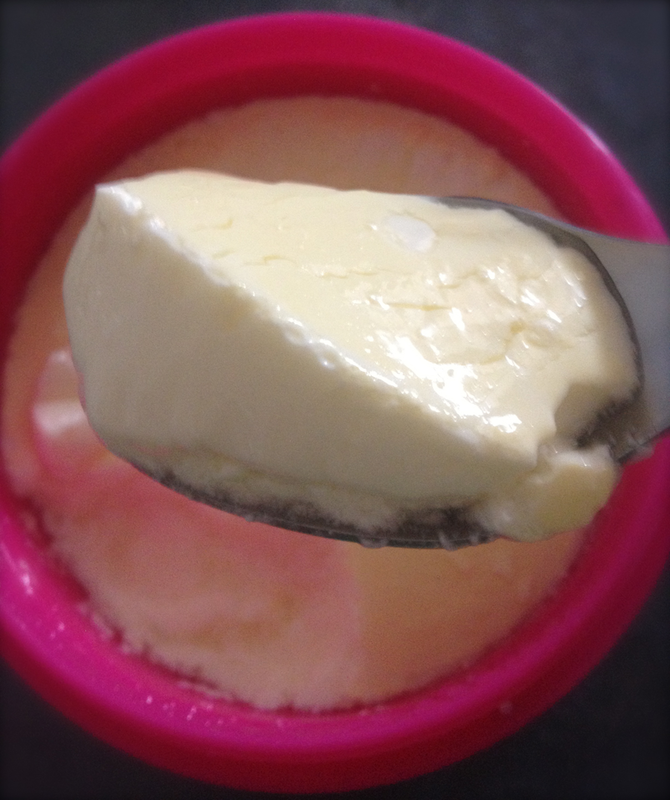 Less yoghurt starter = a creamier more pot set style of yoghurt, don’t ask me why or how! *If at first you don’t succeed consider changing your yoghurt starter, not all “pot set” yoghurts are equal & many contain very little live yoghurt cultures, their flavour & consistency is more the result of chemicals & thickening agents rather than live probiotic cultures. So if your yoghurt doesn’t work consider trying another brand to use as a starter.